Updated Sunday July 22, 2018 by Beamsville Minor Baseball Association. 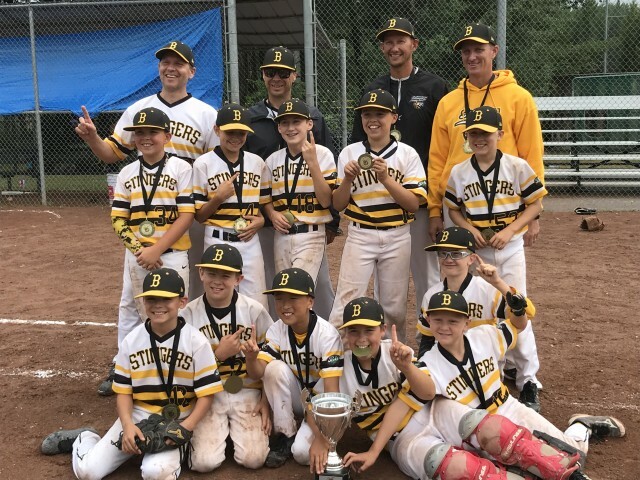 Beamsville Stingers Mosquito team went undefeated in the Muskoka Tournament beating teams from North Bay, Collingwood, and Barrie in a Round Robin. They went on to beat Orangeville 12-2 in the semi-finals and clinched the Championship with a 19-1 win over Sudbury.